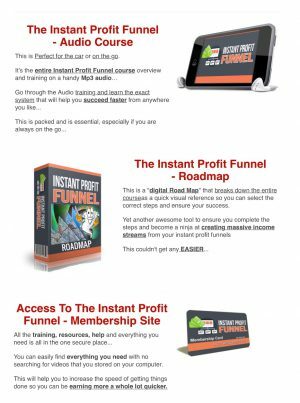 What is Instant Profit Funnel? The last new or? It’s not the worst I’ve met, but despite some mistakes. Price: 7.05 $ and some extra sales once you have purchased it. Once again I have found an online course that contains a lot of the elements as such. When you look at the toolbox, it contains more or less only instructions on how things work. Here I think of Aweber, the autoresponder as shown. A niche finder. 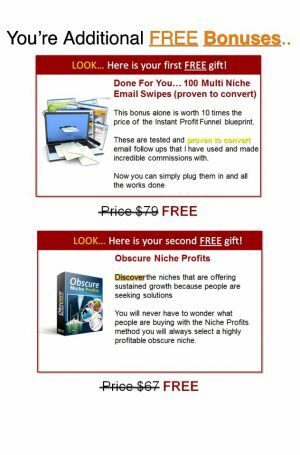 Yes, a tool that can help you find profitable niches and networks where the corresponding products are. It’s an ok course for the price. Here are many hours of education for the cheap money. There is a course of the older date. I have never quite understood why all the money you can earn should be. I’m not sure that all the techniques you learn are all the time. The website itself has not for a long time. It is visible as it is not with an SSL lock. 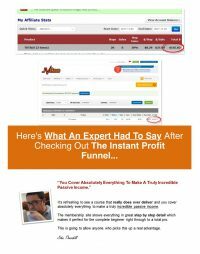 Who is Instant Profit Funnel For? It’s an entirely ok course to learn the necessary email marketing. But unfortunately, it can not stand by itself. You have to invest in the tools that are significantly more expensive to acquire. But do you work online or are new and want to start. Then this course is a pretty nice investment. As long as you don’t buy, extra items in the member area. Are you a little more experienced you can efficiently use this to sell and create trust with your buyers. 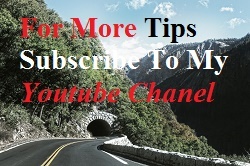 As an affiliate, you can effectively apply it to your list. You just want to make them aware that this cannot stand alone. You can see, and I notice that courses are of a slightly older date. I received it this morning and did a little research on it before I once invested in it. I’ve seen some of it before I’ve started to report. It’s all-round knowledge that never expires. It’s like writing an online course that also contains a very reasonable plan. I have to say that there is very little communication in the member area. Yes, the last message I have been able to read is one of those I have also seen on the sales page. Ok, there is an invitation to a closed facebook group, and I have searched for it. On the other hand, all I’ve bought is just to download. I have turned on the podcast from my mobile. Its the first time I receive the instruction. There is also the possibility that you buy more of the products in the member area. But then we also talk a whole different price. You can send a support ticket from the member area. If there is an answer soon here, I am a little in doubt. Here are support and a little forum. I think as I say that most things on Facebook. You will be granted access if you pay for the module. Price does not go up to $ 7; the clock will be counting just over if you refresh the page. There is a lot of extra that you can buy the original member area. It appears every time you drag a module for you. Even if you already have some videos and texts in the top navigation bar. Then it keeps popping up new things that you should invest. The website builder is just a plugin. Then you need to have your page and domain parked somewhere else. It apparently has an impact on what your setup may cost you in the long term. Here your price may vary from $ 30 to $ 100 depending on which solution you choose. You get a lot of the $ 7. I am indeed pleased with that. I also feel that I’m a bit annoyed that there is always something new that I can invest. Even though I realize that this is the way that allows people to make money on it. So I just do not mean that’s what I want to spend extra money. Especially when the tools you need to build a real internet business. Not part of it. Yes, you can buy you poor in more info products without getting what you need. Namely, domain, a host to your page, an autoresponder from which you can create a list. 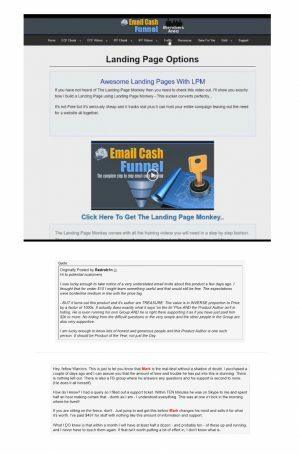 Send it to your landing page, created via the CMS system you have chosen. 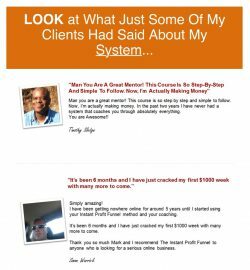 The system that I use and which most websites are based on is WordPress which is the most simple and most used system on the web. It will also be what is being used here in the long run. Ok, it’s an excellent course that is laid up in a way, so it’s easy to understand and implement in everyday life. So it is also said. I’m not much to be exposed to the sales technique where the next step also costs more. Like most others, I’m very convinced that I can not build a business and make money for such a low amount. The fact that I have in the member area makes me tired of being there soon. My conclusion is that it is an excellent course that you can also enjoy from time to time. Under no circumstances can it stand alone. is the main reason for being sold to you inside the member area. What I would suggest is that you use your budget to build from one place that contains everything you need. A place where you have full support. You can easily supplement this with what you can learn in my favorite place to work out. Right enough it is at a different price. It’s fixed, and it does not move. You can get the test free of charge. Yes a week, and no credit card or PayPal. Yes, I think of WAU where I study now and have studied the last couple of couples. Read more about my experiences there. This info product cannot be left alone. I certainly want to say that it is entirely way to get their information. But as you said, you need to have significantly more support. You also need to have a forum that has a mixed bunch of both successful Marketers. There will also be new people in the forum to help you along the way. Otherwise, you will be very hard at measuring your success rate. As mentioned, no one can go out to make money from day one online. You are not on this course either. That it’s useful and useful information is pleasant enough. But you only get some information that is very common and probably not innovative for your online business. If we go on the way, there are also some of the standard tactics and techniques that are not yours just because you took this course. Preserved some people earn really well online. But they have also been for some years. You also need to own your pages yourself if you mean it seriously and would like to make a difference yourself. 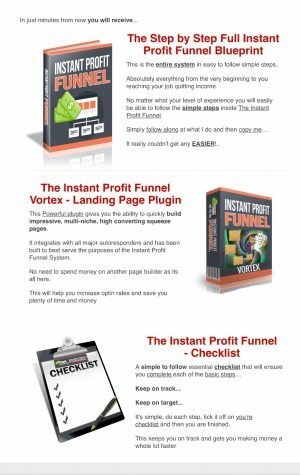 You get a bonus with profitable niche and a gift with email series that you can link to your landing page. It looks nice for the price, and that’s also, but you just have to remember that it always costs to earn. Right enough it is cheap to run an online business. But believing you’re going to get $ 7 is probably just the bottom edge to drive a business that can give you profit. PS just remember to share it here on the social media.